So your man decided to leave you, break up with your or just cut it off. You’re hurt. You’re angry. You’re confused and maybe a little vengeful. But let’s all set those feelings aside and get smart a bit. No. This article is not about how to get your man back or how to get your next date. It’s about you moving on to your new fresh slate --- reclaiming the powerful Erzulliesta that you are. #1 Before anything else, make a decision to never go back to him --- or take him back either! 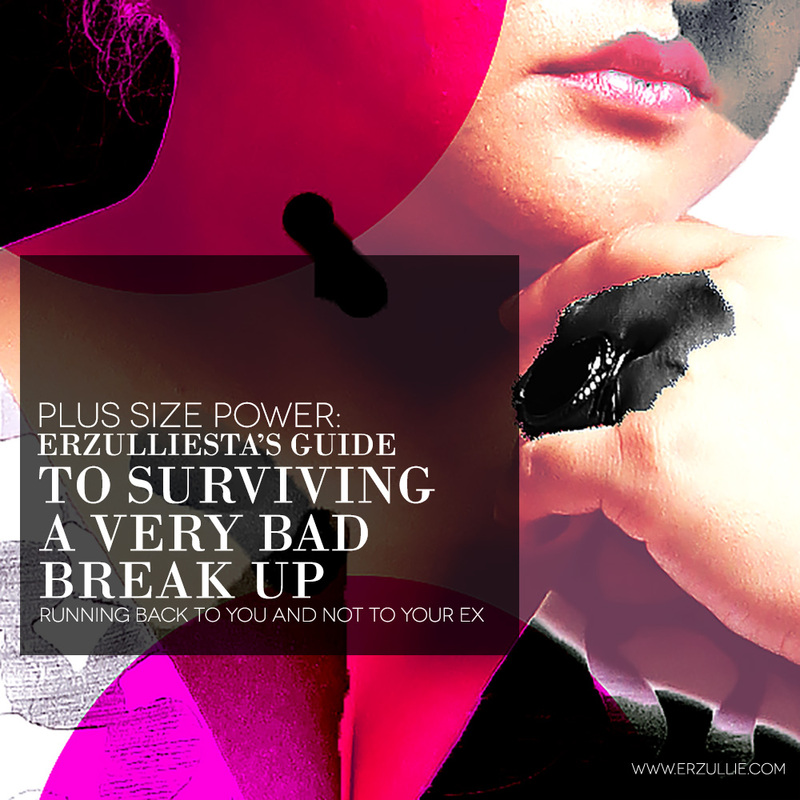 After all, this guide is all about moving on and getting to warm yourself up with the idea of how you are going to be alone --- but not lonely --- with yourself. #2 Remove anything (destroy it even!) that reminds you of your ex. If he thinks you are not worth a space in his life --- why should he have a space in your place? No way! Equal rights, baby! #3 Give yourself a time limit to mope. 1 week? 2 weeks? Just make sure that you give yourself enough time to feel bad, sorry, angry and depressed about your situation. Just give yourself a limit though and stick to it. You know yourself the most, so make a choice. But it’s good to note that during this time, LISTEN TO YOURSELF. To be honest, ask time out from other people and give time TO YOURSELF. People will want to care for you, that’s good. Embrace but give it a time limit as well. You need time to feel bad, feel good, feel wild, crazy and incoherent during this process. You need to listen to yourself, know what you need, so that you can finally provide for that. #4 Start caring for yourself. Now that you have given yourself time to feel bad --- like really, really bad. Now is the time to make yourself feel really, really good! Clean up your space. Get your hair done. Get your nails did. Wash your face. Take a long bath. It’s a whole new era for you. Now that he’s gone, you have more time to do the things that you want. He actually did you a favor. #5 Fill in your calendar. The biggest problem of any break up is what you guys may have developed a routine already. The person has been part of your life and therefore your schedule. But here lies the opportunity! Now that that person is gone, it’s now time for you to fill up your calendars with activities, neglected dreams or hobbies! #6 Throw yourself a compliment every now and then. Call them mini-boosters! There are times that we have this thinking that the reason a person broke up with us is because there is something wrong with us. And because there is something wrong with us, maybe we are not as “amazing” as we think. Truth of the matter is your weirdness is someone’s wonder. It really depends on the person looking at it. And what better person to bask in that wonder but you? Throw yourself a compliment every now and then. You know you deserve it. Write them down on a post it. Place it up your wall. Make a digital note. Make it a lock screen poster of your phone. Make a desktop wallpaper full of amazing reminders about you. Just make sure that you surround yourself with your own compliments during the whole process. One less person in your contact list means 5 more spaces for new/stronger friendships. Go out with friends. Check on some friends. Make new ones. Volunteer. Think of this as an opportunity to expand your social circles more. #8 Test your alone skills every now and then. But… you just said socialize. Yes we did, but everything must come in balance. After all, at the end of the day, you only have YOU in bed. So take sometimes at the end of your day. Lay in bed and be aware of what you are thinking or feeling. Are you happy? Are you content? Are you really feeling sad? Only through that will you be able to know what you need to do next. You will never know! Maybe when you lie down on your bed, you go directly to sleep. Now that’s a fun filled day!